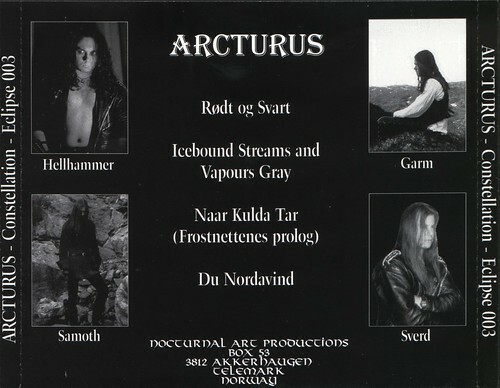 For today’s Song of the Day, let us revisit one of the greatest underground metal bands of all time, ARCTURUS. Back in 1994, the band released the Constellation EP via guitarist Samoth‘s Nocturnal Art Productions. Simply a groundbreaking piece of Norwegian symphonic black metal. Absolutely mandatory. This entry was posted in Blog and tagged arcturus, emperor, garm, hellhammer, mayhem, nocturnal-art-productions, samoth, ulver. Bookmark the permalink.